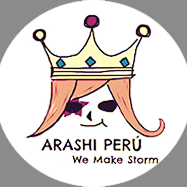 [NEWS] EL NUEVO CONCIERTO DE ARASHI YA TIENE LOGO OFICIAL / ARASHI´S NEW CONCERT ALREAY HAS AN OFFICIAL LOGO ~ . En la página oficial de Johnnys net ya mostraron el nuevo logo del concierto de ARASHI que empezará el 6 de noviembre. Como ven es de un estilo simple pero evocanco la caligrafía japonesa. Ahora solo nos falta ver como estará diseñada la coronita del príncipe para este concierto. 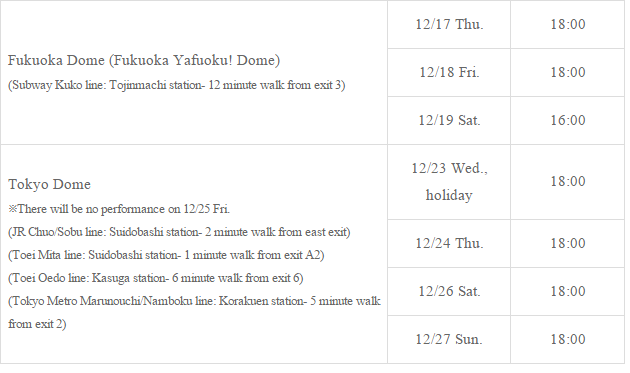 Abajo les dejamos la lista de los días de conciertos de ARASHI. On th oficial site of Johnnys net they already showe the new logo for ARASHI´s upcoming concerts that it will start on November 6th. As you can see is quite simple but with the touch of the japanese caligraphy. Now we have to wait for the desing of the crown of the prince for this concert. 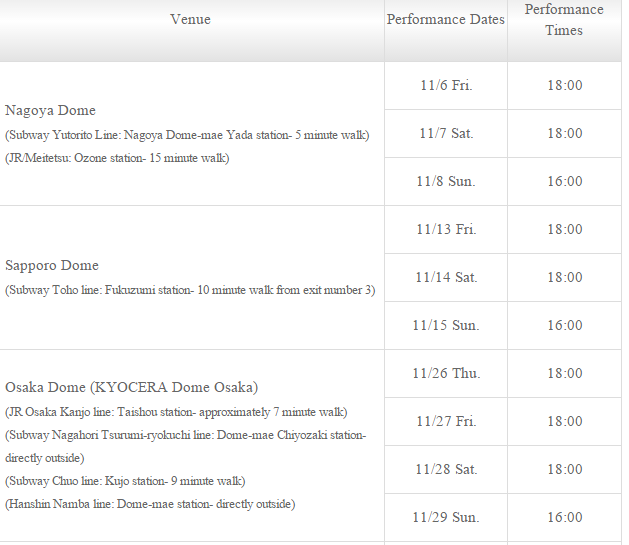 Below is the chart with the concert days.